I’m someone who usually defends the Nexus against my liberal friends’ accusations of conservative bias. But Wednesday’s front-page article, “SB Clubs Render Election Info,” was unquestionably biased and quite simply a poor piece of journalism. Antonia Molloy, the author, dedicated at least half (probably 3/4) of the reporting to Mike Stoker’s remarks, focusing on his rhetoric of “job creation” and government spending. The speakers’ remarks were crafted into a false dialectic that I like to call “Apple Pie versus partisan politics.” That is, from the context of the article, one might assume that Mr. Stoker and Mr. Tom Watson argued eloquently for responsible government, job creation and the American Dream — while Daraka Larimore-Hall’s remarks were limited to asking for single-party government and as much concentrated power as possible. What a flagrant misrepresentation. Ms. Molloy completely disregarded the fact that both Republican candidates failed to mention any plans whatsoever for implementing these ideals. Additionally, she ignored Daraka’s (very valid) remarks about the nature of state politics: that social services (most notably education) are being slashed dramatically and Republicans in the state legislature are uniting unanimously to keep the budgeting process in a stranglehold. This is to say nothing of the man’s strong defense of Lois Capps, which was not even mentioned. Mr. Watson’s various qualifications are noted several times, but not once does she mention Daraka’s experience as a local activist and campus labor leader. Most damning of all is the fact that Das Williams’ appearance is not even mentioned — literally, his name doesn’t even appear once! Neither does that of John Hager, whose independent campaign for Congress I do not support but whose representative’s remarks were just as notable as any other speaker’s. Journalism does not have to contain explicit commentary to be biased. This article was, quite simply, a puff piece. 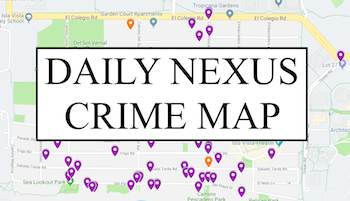 If the Daily Nexus wishes to keep its reputation in the UCSB community, I suggest the editorial board scrutinize their front-page articles a bit more closely, and get their writers in line. 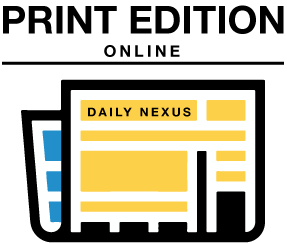 I’m glad someone is finally calling out the Nexus for such terrible reporting and bias. I don’t want my student fees going to support this garbage publication. Conservative bias, or just more of the same old sloppy Nexus reporting?